Social media is a tricky business. It seems so simple on the face of it and you may have launched your business profiles thinking that everything would take off if you only started posting. Sadly, that is rarely the case and many small business owners have hit their head against the wall trying to make headway, without any real results. Don’t worry, it isn’t nearly as mysterious as you may be fearing. 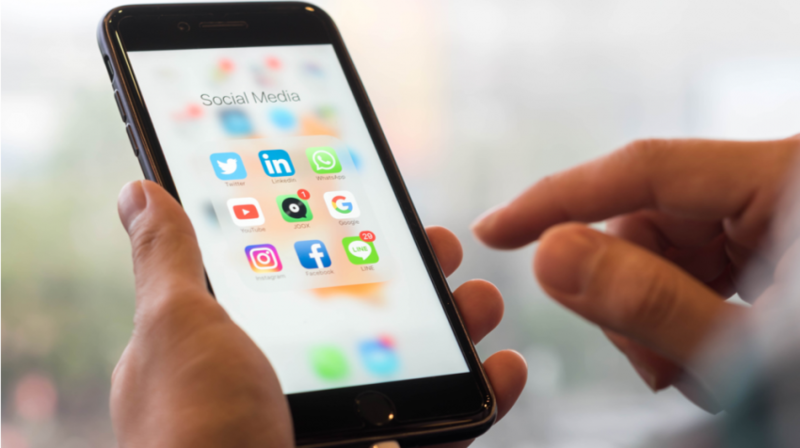 While social media has a tendency to change and adapt to new trends and features, not to mention shift with the way that users themselves choose to use it, there are some actionable social media tips that you can put into play right this second to begin seeing results. This may seem like trite advice but it is actually a really good strategy. Not to run your social media campaigns, but to teach you how to do it. Here is what you do: put out an ad for a temporary social media manager. Set the contract for as long as your budget allows and specify that part of the job will be setting up a campaign and showing you how to continue it once the contract ends. Watch the steps carefully because that is how you will learn. Yes, you need to be there interacting with your social media community on a regular basis, but there’s other work to be done too! You cannot quit everything and just socialize (especially if you cannot afford to hire a social media manager just yet). So what you do? Scheduling social media updates is the answer. You can even schedule social media updates 6 or 12 months ahead: Think about holidays, for example! You’ll be busy but you need your social media account to remain active, so use the slower seasons to schedule social media updates for the holidays. There are a few solid social media scheduling solutions out there. Once you are ready to launch your campaigns, you will want a solid dashboard where you can schedule posts, watch analytics, etc. There are plenty of options right now for a social media dashboard. I’m currently using Cyfe. When you are talking about a big business it is good to look at long term goals and then set milestones and plans to meet them. For small businesses that don’t have an entire marketing team and millions in the budget on hand, making smaller goals and focusing on those is a far better idea. Set little milestones to work on and monitor your progress. For example, instead of saying, “I will have 10,000 followers by the end of the year on Instagram” try “I will grow by at least 100 followers per month.” If you overshoot it, hey… good for you. Guess what? The platform you chooses matters… a lot. Facebook, for example, is popular with people over the age of 30, particularly those over the age of 40. But if your target audience is under 25 you have next to no chance of reaching them there. They are almost entirely on Instagram and Snapchat. The same goes for Twitter, which is becoming more a home of influencers than normal users. Where are the highest concentration of women? Pinterest. Where can you launch potentially viral content? Reddit. The list goes well beyond the basics and if you don’t know where your audience is hanging out then you won’t be able to reach them. Striking a balance here can be really hard. On one hand, you want to be able to post often enough that your profile grows. But on the other, crappy content is still crappy content. If you are just churning out useless posts like inspirational quotes or jokes, especially if you don’t have a fair amount of original content, you are nothing more than a glorified bot account. You may have noticed the best brand social media sites out there are the ones that manage to really engage with their customers. So post often, post consistently, but only post good stuff. Analytics are helpful and most brands use them in order to measure their progress and results, while coming up with new campaigns using that data. They are great to have. But they are also not everything. The truth is that unless you are a well versed social media mogul, you probably aren’t going to understand the majority of the figures analytics give you. The important ones are the more basic: growth over time and how it correlates with strategies in play at each peak. You may also be able to learn more about your demographic, such as when they are most active. The Pareto Principle is simple: for every 100 percent of your content, 80 percent should be engagement, 20 percent should be promotional. See? Easy. I won’t even bother going further into it. Another no brainer, visual content is pretty much the only way to go. It won’t make up all of what you post, but it should make up most of it. Posts with visual media are more likely to be shared, commented on, saved and reach viral status. All of these are things you want, so invest most of your time in visual forms of social content. This is one of the best things you can do. You are a local small business. You have ties to the community where you operate. So start getting involved: go to festivals, reach out to local news, engage with people via geolocation, get involved in local charities. Have some actionable social media tips for small businesses looking to get into the game? Let us know in the comments!